How good are you Mathematical skills? How good are your logical reasoning skills? 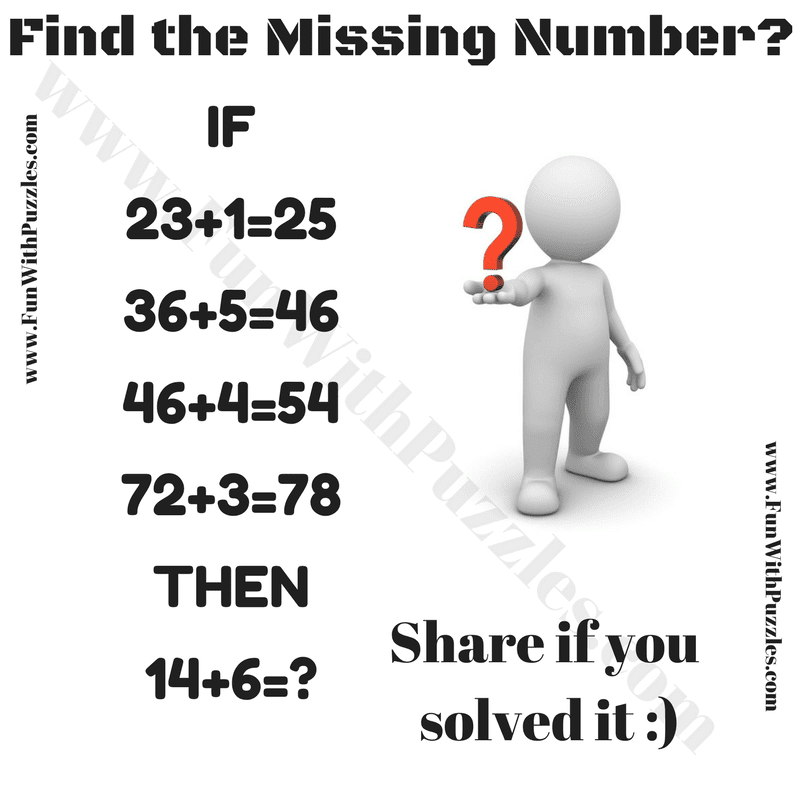 Here is one Math Logical Question to test your both Mathematical skills as well as Logical Reasoning. 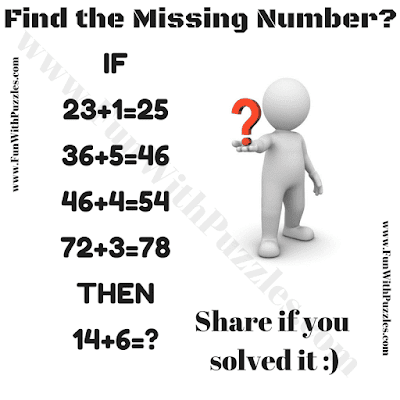 Can you solve this Math Logical Question as quickly as possible and find the missing number in this puzzle? Answer of this Math Logical Question, can be viewed by clicking on button. Please do give your best try before looking at the answer. The Answer is 26. Double the second number to add it to first number to get the answer on the right side of equation.